In the fall of 2008, fifteen of the world's leading economists--representing the broadest spectrum of economic opinion--gathered at New Hampshire's Squam Lake. Their goal: the mapping of a long-term plan for financial regulation reform. 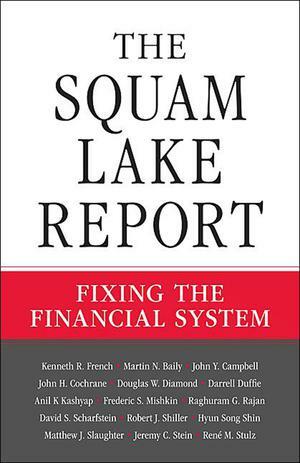 The Squam Lake Report distills the wealth of insights from the ongoing collaboration that began at these meetings and provides a revelatory, unified, and coherent voice for fixing our troubled and damaged financial markets. As an alternative to the patchwork solutions and ideologically charged proposals that have dominated other discussions, the Squam Lake group sets forth a clear nonpartisan plan of action to transform the regulation of financial markets--not just for the current climate--but for generations to come. Arguing that there has been a conflict between financial institutions and society, these diverse experts present sound and transparent prescriptions to reduce this divide. They look at the critical holes in the existing regulatory framework for handling complex financial institutions, retirement savings, and credit default swaps. They offer ideas for new financial instruments designed to recapitalize banks without burdening taxpayers. To lower the risk that large banks will fail, the authors call for higher capital requirements as well as a systemic regulator who is part of the central bank. They collectively analyze where the financial system has failed, and how these weak points should be overhauled. Combining an immense depth of academic, private sector, and public policy experience, The Squam Lake Report contains urgent recommendations that will positively influence everyone's financial well-being--all who care about the world's economic health need to pay attention.